Ps. If you don’t have any frozen banana, add some ice when you serve! We always appreciate when you send us your favourite recipes made with our Mode Cold Brew Coffee. 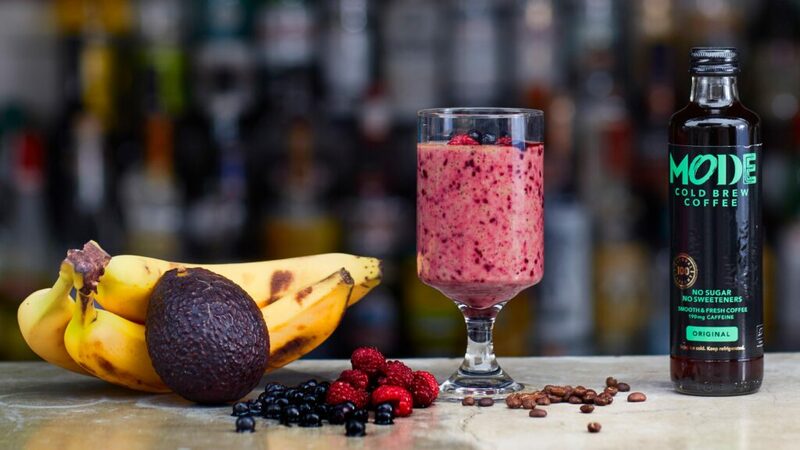 This Power Boost Smoothie was sent in by Holistic health Influencer Maya Nestorov. A great way to boost your days during the dark winter months. Enjoy! Thank you Maya Nestorov for sharing this recipe with us. 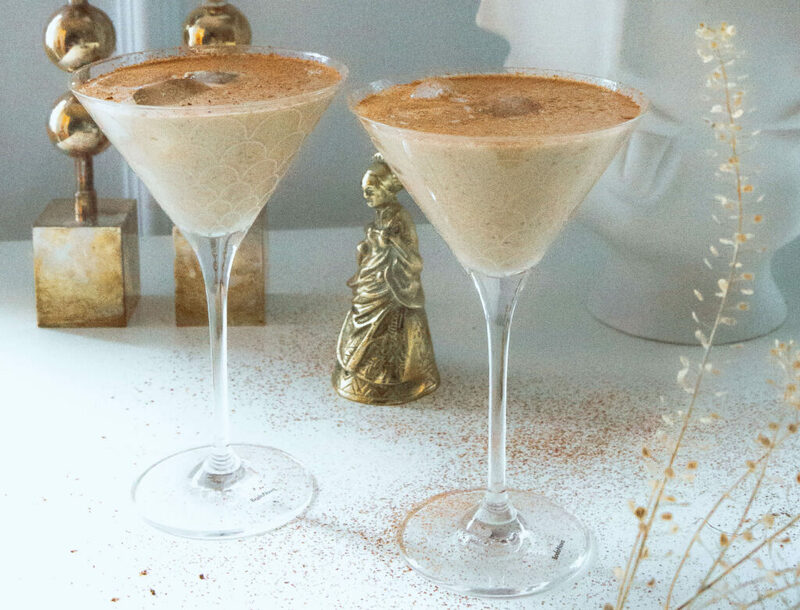 We got a great Coconut Cold Brew Caramel Smoothie recipe for you today! 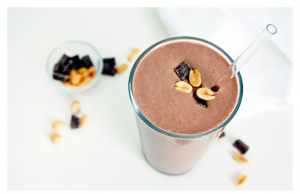 Not only does it make a quick energy-boosting breakfast but also a great pre workout beverage or just an afternoon treat. Step 1. Grab some fresh high quality coffee. If possible coarsely grind it. Step 2. Fill the filter with 2/3 of coffee and attache it to the lid. Step 3. Pour cold water into the Hario cold brew bottle until its full. Step 4. Place the brewer in the fridge. Wait for 12-24 hours according to personal preference strength. Step 5. Your own cold and refreshing cold brew coffee is ready to be served. Pour over ice and enjoy straight or with your choice of veggie milk. 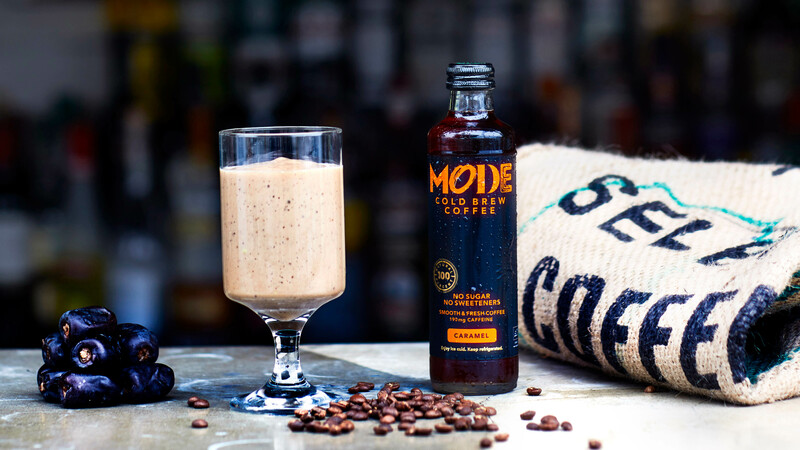 A Mode Cold Brew breakfast smoothie is a great way to kickstart your mornings and go out there full with energy and high on antioxidants!